America's historical entanglement with the "religion of peace"
Those that assume that radical Islam is a modern phenomenon that became prominent during Bill Clinton's tenure as president in the 1990s merely scratch the historical surface of America's complicated political entanglement with the Middle East's supposed "religion of peace." In truth, the tentacles of radical Islam go all the way back to Thomas Jefferson. 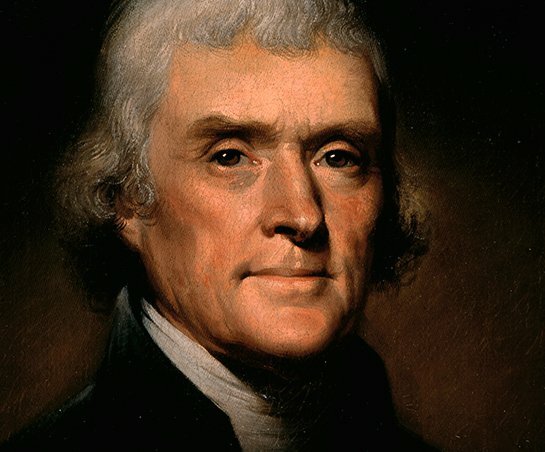 Historically, Thomas Jefferson was the first U.S. president to go to war against belligerent Islam. The American Revolution from English imperialism had left the fledgling republic deeply in debt. Trade of America's vast natural resources of lumber, animal skins and crops with Europe was the economic answer. However, European markets, a traditional mercantile system, were not open to American commodities. Complicating matters was the fact that America had no navy to protect American cargo ships from Barbary pirates who were known to kidnap foreigners for ransom. Further, due to American independence, the U.S. could no longer depend upon the British Royal Navy—the greatest in the world at that time—nor the King of England, who customarily paid "tribute" (protection money) to North African pashas and the Sultan of Morocco. In May of 1784 the Continental Congress dispatched Jefferson to Paris first as trade commissioner and later as ambassador to France. Very early on in the process he became aware of an unexpected reality: Christian-American hostages were being enslaved by violent Muslims. Contrary to rumor and the popular belief of the time, these North African predators were not the stereotypical pirates out for booty: wine, women, adventure and song. These "Barbary Pirates" were in fact just typical Middle Eastern Muslims known then as Mahometans or Mussulmen who did not consume alcohol and prayed to Allah several times a day. They crewed the ships of the Mediterranean Sea's Islamic city-states and their efforts to capture cargo and passenger vessels were both economic and religious. Like today's terrorists, these predecessors called themselves Mujahidin or "soldiers in the Jihad" and engaged in holy war against the West. Not much has changed in 200 years. Jefferson argued correctly that paying "tribute" to Muslim extremism would encourage further malfeasance: "infidel" enslavement, hostage-taking and ship hijacking had already plagued Europe for a thousand years. Although John Adams concurred, as America had no standing navy, the circumstance forced the new, debt-ridden nation to pay a hefty 1 million dollar tithe (approximately 10% of the U.S. government's annual revenues in 1800), a government entitlement program for terrorists that went on for 15 years. Like the monarchies of Europe, Jefferson's Democratic-Republicans were focused on Western expansion and did not want those efforts stymied by useless armed conflicts in the Old World. The money guaranteed safe passage of American ships and/or the return of American hostages. Like today in the West's continuing quest for crude oil instead of developing comparable domestic resources, the price remains high to do business with the barbarous Middle East. In Jefferson's time, British merchants, British and French royalty and virtually every maritime trading country in Christian Europe capitulated to the extortion rather than shift resources from burgeoning global empire-building elsewhere. However, Jefferson realized that any peaceful arrangement with the Mujahidin was a temporary fix, which would ultimately lead to greater and greater demands. Unlike the Obama doctrine of continued appeasement and hollow political "victories" not worth the paper they are written on, Thomas Jefferson wanted to fight. However, certain precincts of the U.S. government reacted haphazardly to continued acts of terrorism. In late 1793, the mass hijacking of U.S. ships by Muslims had a 9/11 effect on the U.S. economy. Four months later, on March 27, 1794, Congress—after debating the subject periodically over a decade—finally decided to build a fleet of warships: six extra-large frigates. In essence, the United States Navy was born in response to unprovoked Muslim aggression. 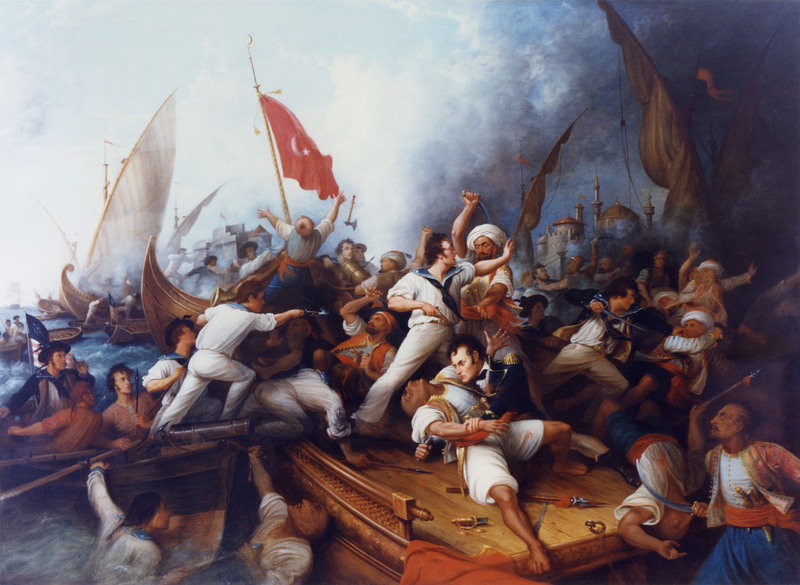 After 17 years of calling for war against Islamic extremism represented by Barbary piracy, it was not until 1801 as America's third president that Mr. Jefferson dispatched a naval squadron of four warships to the Mediterranean to engage in a four-year war off the shores of Tripoli. Sporadically, a Western power would bombard Muslim port cities in response to the ongoing threat, but nothing ends the seemingly endless Christian-Islamic religious conflict. As history demonstrates, Obama's political realities mirror Jefferson's. However, Mr. Obama's cowardly head-in-the-sand reaction is in direct opposition to Jefferson's Reaganesque show of strength. Given the terrorist atrocities of September 11, 2001, the historic date of September 11, 1683 also comes clearly into focus. That was a turning point in human history: the defeat of the Islamic armies of the Ottoman Empire and the Islamic caliphate by Christian forces at the gates of Vienna. From that moment until the recent times, Christian or Western powers would dominate the Muslim world. Radical Islam seeks to violently overturn that arrangement through modern savagery and continuous warfare.